Nepal’s geography is rugged, natural and exciting. Dominated by the daunting Himalayan Mountains, mid-hills and damp plains, the country is rich in geographical and ecological wonders. Squeezed between the two major countries of South Asia, China and India, Nepal is majorly a diverse geographical destination. 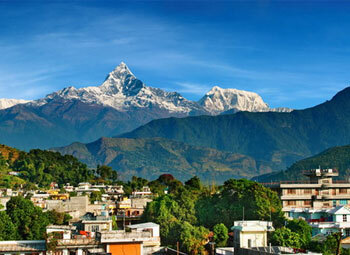 Prominent geographical attractions in Nepal include the highest mountain peak in the world, Mt. 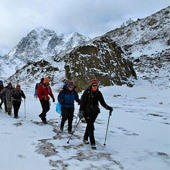 Everest, natural lakes, wildlife reserves and conservation spots. In fact, it is one of the richest countries in the world owing to its rich biodiversity and unique geographical position. It is clearly one of a kind country where the contrasting elevation difference can be seen. The lowest elevation of Nepal is 60m above sea level whereas the highest elevation here is the highest point on earth; Mt. Everest at 8,848 m.
Close to nature, the country is full of natural surprises. Occupying the 0.1% (800 kilometers) of the earth’s total landmass, the country accommodates the rich natural wealth of unique floral species, birds, mammals, butterflies, plants and herbs, and orchids to name a few. If we talk about Nepal’s share of natural heritage in the world, we can find out that 2% of the world’s flowering plants bloom in Nepal. 8% of the world’s population of birds (more than 848 species) chirp and keep the ecosystem alive. 4% of the mammals on earth dwell in the forested regions. Along with this, 11 of the world’s 15 families of butterflies (more than 500 species) flutter their wings in Nepal. In terms of faunal wealth, the country is a flourishing ground for over 600 indigenous plant families and 319 species of exotic orchids. 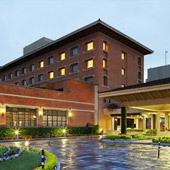 Location – Surrounded by China in the north and India in the south, east and west direction. People – The country has more than 125 ethnic groups with around 123 spoken languages. Language – Nepali is the national language; travel trade people understand and speak English as well. 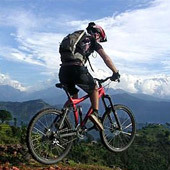 Safety – Tourists consider Nepal as a safe destination, but guide assistance is suggested. Climate – Nepal has four major seasons. Winter is from December to February. The colourful Spring stretches out from March to May. Summer season is from June to August and Autumn September to November. Monsoons are from June till mid September. On the whole, Nepal can be visited whole year round.